Accidentally deleted or lost images from your memory card? Bring it in to NZ Camera for our card recovery service! 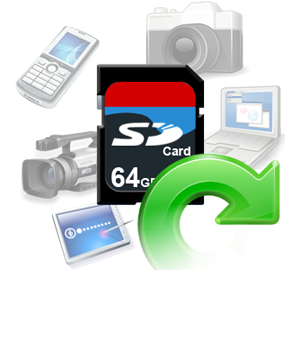 All types of memory cards are supported, and if the card recovery does not work then there is no charge! To give us the best chance of recovering your lost images, DO NOT take any more photographs once you are aware of the missing images. The reason we are able to do this is that when an image is deleted from a memory card, it is not necessarily deleting the image itself, but rather telling the camera that space is available to be used for another photo to be taken. This can be thought of as a book - there is a table of contents and then the data itself. When a file is deleted it is essenitally removing the 'table to contents' entry and opening up that space for new data. If some areas have been writtn over with new data then those files cannot be recovered. So the less a card is used after files are accidentally deleted, then the greater the chance the files you are wanting to recover are not permanently gone! When you bring your card into NZ Camera for a recovery, we use specialised software to scan your memory card and piece the files back together to recover images that the camera has deleted. With no charge on unsuccessful recoveries you have nothing to loose - bring you card in today!